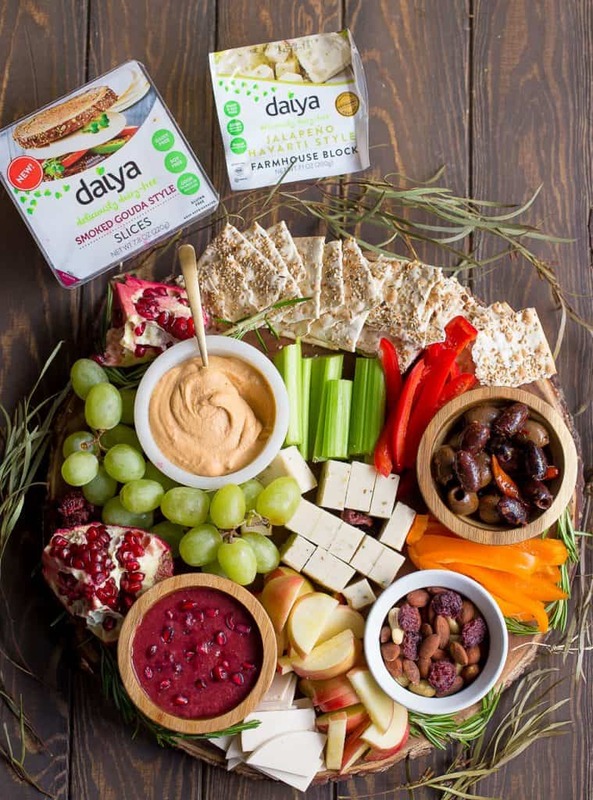 This simple and delicious snack tray is sponsored by my friends over at Daiya Foods. All opinions are my own. Nothing says Happy Holidays like a gorgeous snack platter that adults and kids will go nuts over! 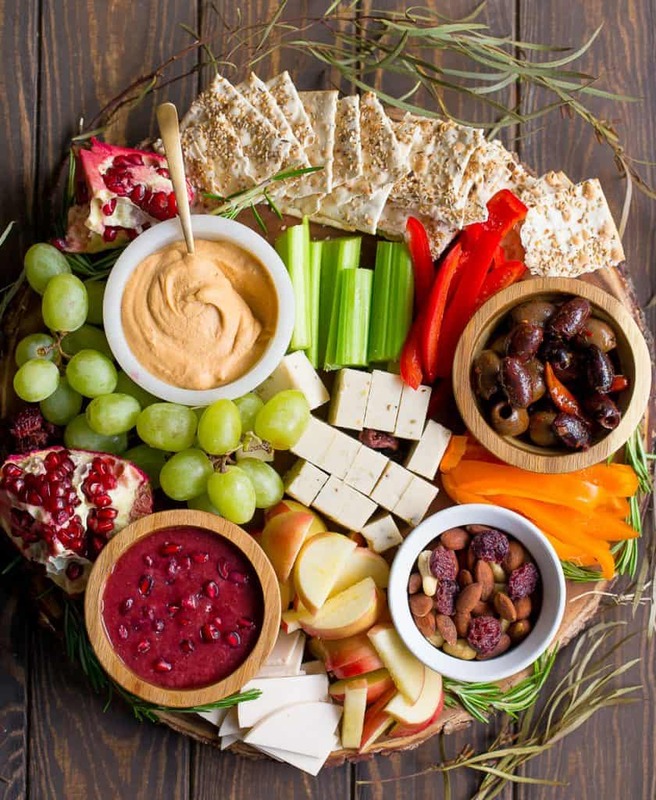 This simple snack tray is Plant-based and Gluten-Free, combining so many yummy ﬂavors, festive colors, and delicious textures. It’s oﬃcially the Holiday Season! For me, the holidays begin at Halloween and last until the New Year. Throughout these few months, I love to entertain, and enjoy social gatherings with friends and family. Nothing is better than hanging out, enjoying great conversation, and food and drinks with my favorite people! A MUST HAVE element to any party: a charcuterie board or snack tray. 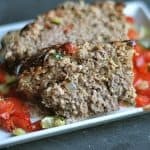 It’s gorgeous, simple to throw together, and always includes something for everyone (even the pickiest of eaters!) And if you’re anything like me, that inner child in you loves nothing more than a plate of snacks. So let’s get started and build THE PERFECT SNACK TRAY!!! This Plant-based and Gluten-Free snack tray is easy to satisfy most dietary restrictions. This makes things simple when entertaining! One of the ﬁrst elements I think about is building a board with a variety of colors and textures. Because I am gearing this for the holidays, another element I want to consider is using seasonal ﬂavors. Also, don’t be afraid to mix and match savory and sweet! Sometimes bites that include both are some of the best ﬂavor combinations. These work perfect for a cheese or snack tray, and pair well with crackers, fruits, and vegetables. 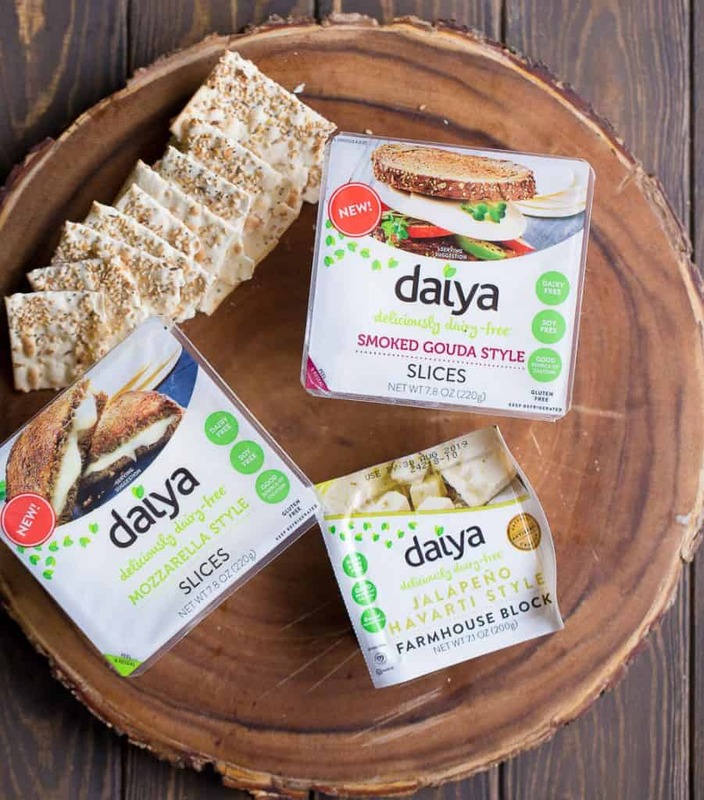 Daiya products can be found in more than 25,000 grocery stores in the U.S. including Whole Foods, Kroger, Safeway, Publix, and most natural food retailers. I added a few diﬀerent fruits that pair well with my Daiya Farmhouse Blocks: sliced apples, dried cranberries, pomegranate arils, grapes, almonds, and cashews. 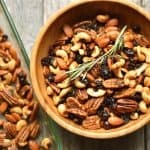 Keep in mind when adding nuts, shelled and roasted & salted work best. The salty sweet combo of fruit with Daiya’s Smoked Gouda is delicious! 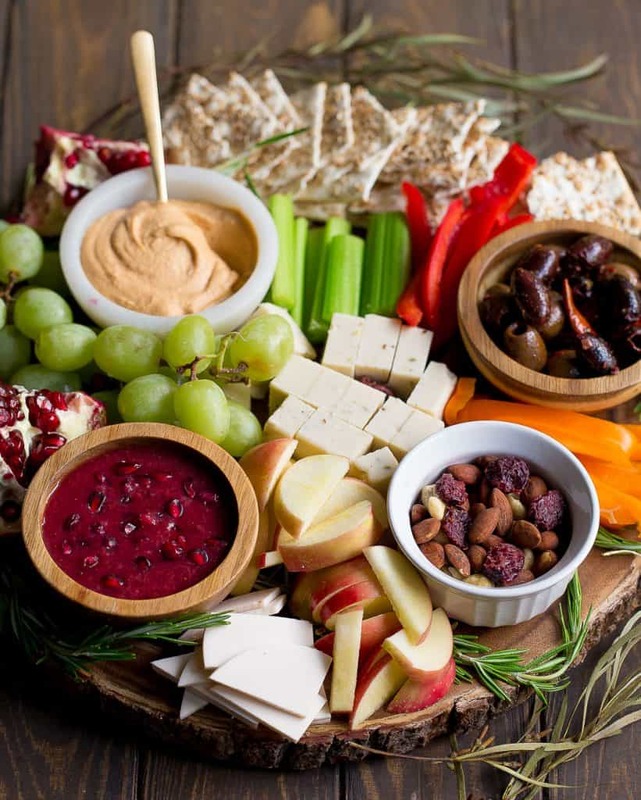 Dips, Spreads, and Olives should also be included in every snack board! I chose a total of 3, but for entertaining more than 10 people, you should include up to 6 diﬀerent varieties. My Cranberry Pomegranate Sauce works perfectly for the holidays with this board, and also pairs well with the Daiya Farmhouse Blocks. 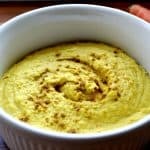 Hummus is always a good idea! Olives and pickles are also met with enthusiasm, and provide that extra element of texture. Vegetables should be a part of every snack board. I am one of those individuals that seek out a veggie tray or snack board with veggies just to include a nice balance and up the nutrients during the holidays. They are a great way to start a party so that you don’t ﬁll up on the unhealthy stuﬀ! Celery, sliced bell pepper, cucumber, and sliced carrots are the easiest to prepare and grab. Finally, surround your snack platter with a good quality gluten-free cracker, or maybe even a few different varieties. You can add that final touch by decorating with fresh herbs or flowers. 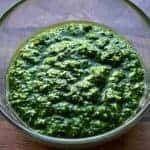 My favorite is using rosemary sprigs. This perfect snack tray would make a fabulous addition to your Thanksgiving table, or to any party during the holidays!